PARTIT KOMUNISTA MALTI: Communists condemn exploitation of foreign workers. Communists condemn exploitation of foreign workers. The Communist Party of Malta shows solidarity with all foreign workers in Malta who are being exploited by the capitalist class with the aim to accumulate more profits. "The news that a Chinese factory is employing Chinese workers in exploitative conditions is condemnable. Social dumping and exploitation are practices that do not occur unintentionally. They are being deliberately promoted by European and National politicians as a normal free market business model”. 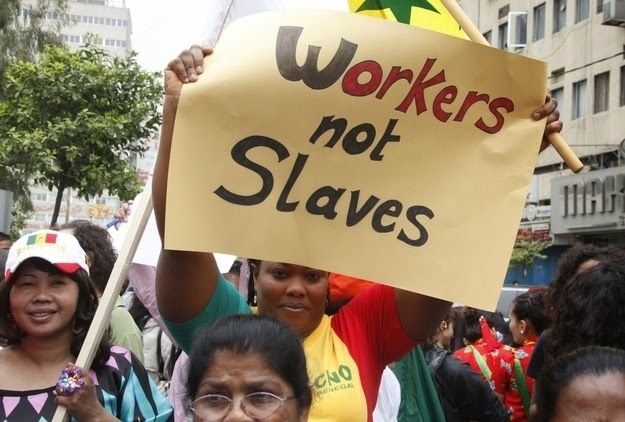 The Communist Party therefore urges the Maltese Government to introduce new legislation to ensure that foreign workers are not employed under inferior conditions of work and that the principle of equal rights, equal pay and equal treatment for all workers is being enforced.